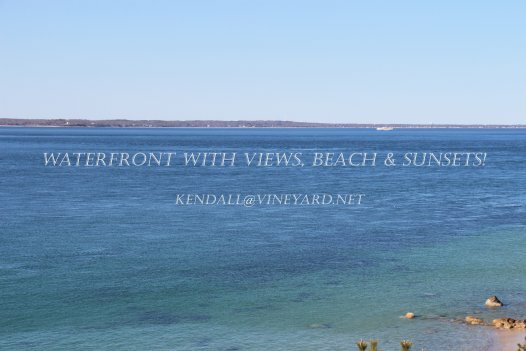 Waterfront with Views, Beach & Sunsets! 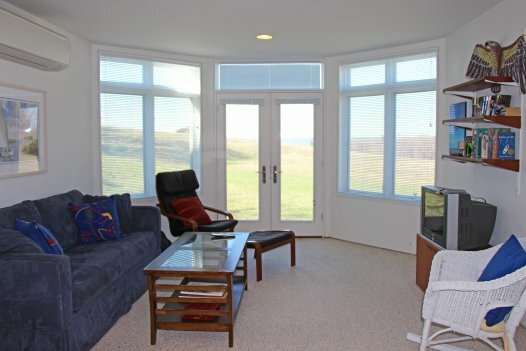 home > vacation rentals > waterfront properties > Waterfront with Views, Beach & Sunsets! 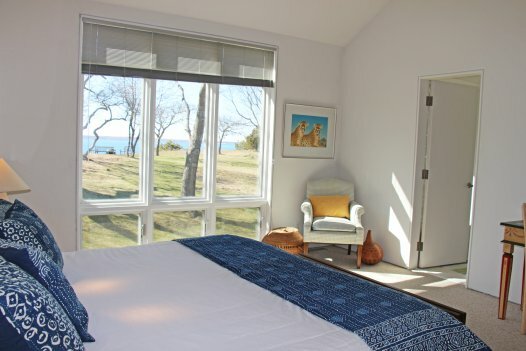 Perched high atop Makonikey Head with incredible sunsets and the Elizabeth Islands to the west and fabulous views of Vineyard Sound to the northwest (with ferry boats traversing the view every hour) is a spacious contemporary home designed by Mark Hutker. 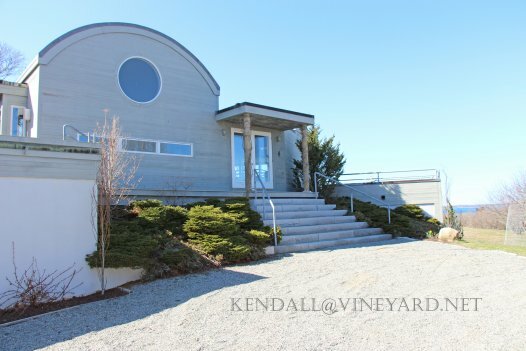 The open Living and Dining areas feature a unique curved wall of glass, with floor-to-ceiling windows seamlessly bringing the Vineyard Sound horizon into the rooms. 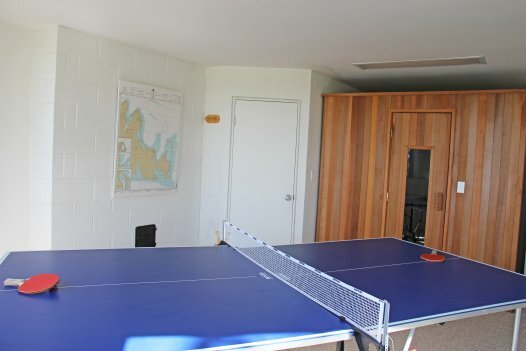 There are 4 bedrooms, two masters on the primary floor and two twins on the lower level, plus 2 family rooms and a ping pong room. 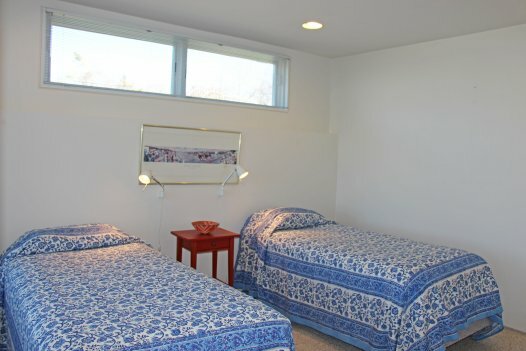 A short walk and you will be at the beach. 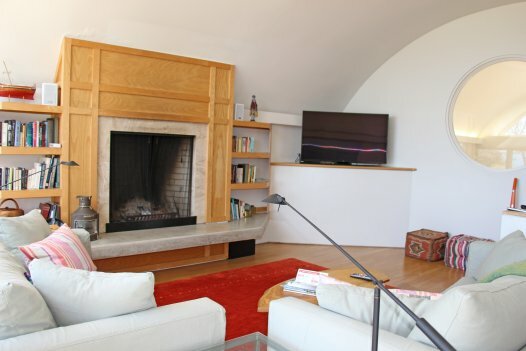 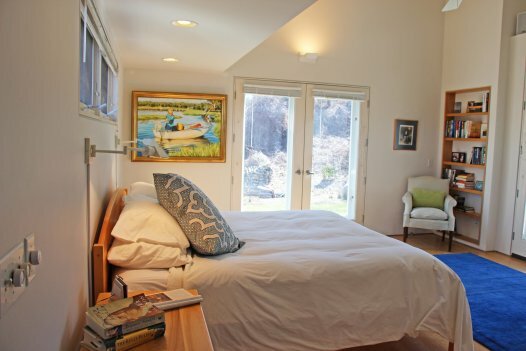 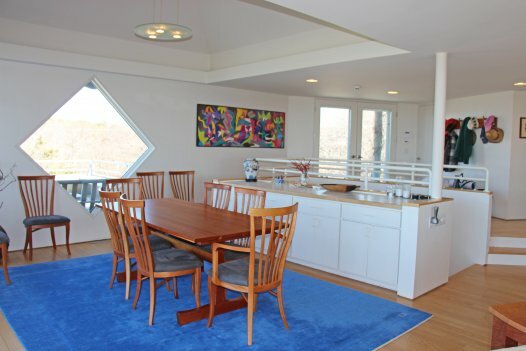 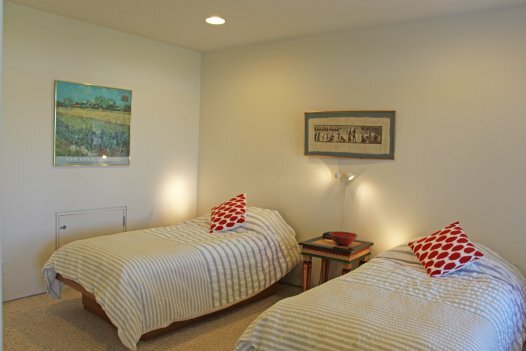 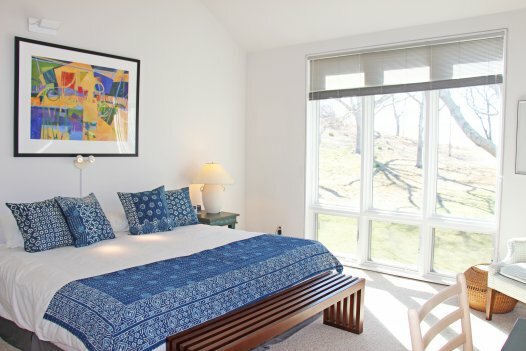 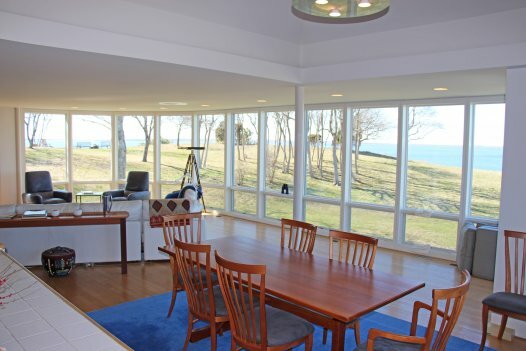 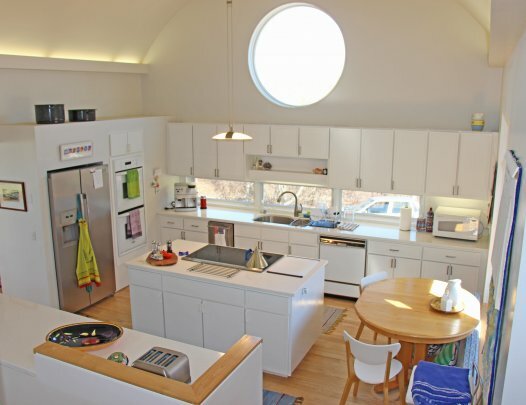 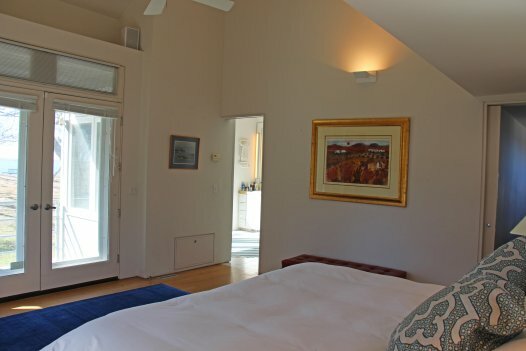 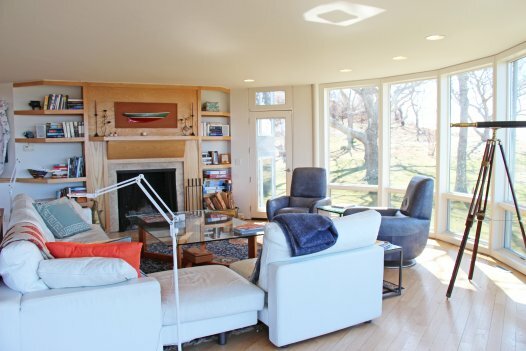 What an ideal property for enjoying two weeks of waterfront living on Martha's Vineyard!